See how Total Data Intelligence can empower security leads, legal and compliance, corporate investigators, and law enforcement to solve a potential data breach and identity theft case. Find a smarter and faster way to get the right documents to attorneys. Only Nuix brings together the intelligence solutions to collect, protect, manage, and investigate your structured and unstructured data. With just one platform, you can handle any eDiscovery, investigation, incident response, or governance task. Discover how the platform can help you. 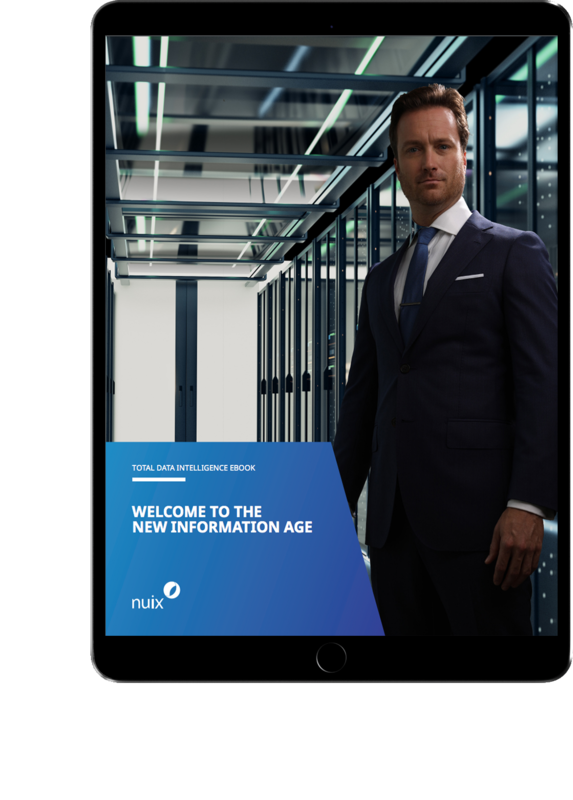 Discover the challenges and opportunities of the New Information Age and why Total Data Intelligence is the key to success in this era. 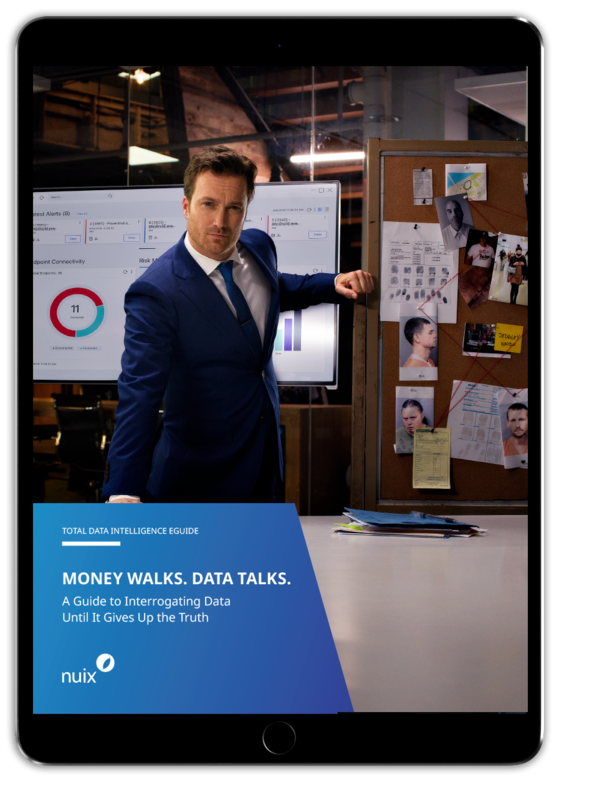 Want to learn more about how Nuix delivers the Total Data Intelligence to help you thrive in the New Information Age? Request a personalized demo to see how one powerful platform can help you tackle your critical data challenges—in totality. Increase investigative efficiency and extract more intelligence from digital evidence. Gone is the information age of old that organizations could manage with siloed teams and disparate software solutions. 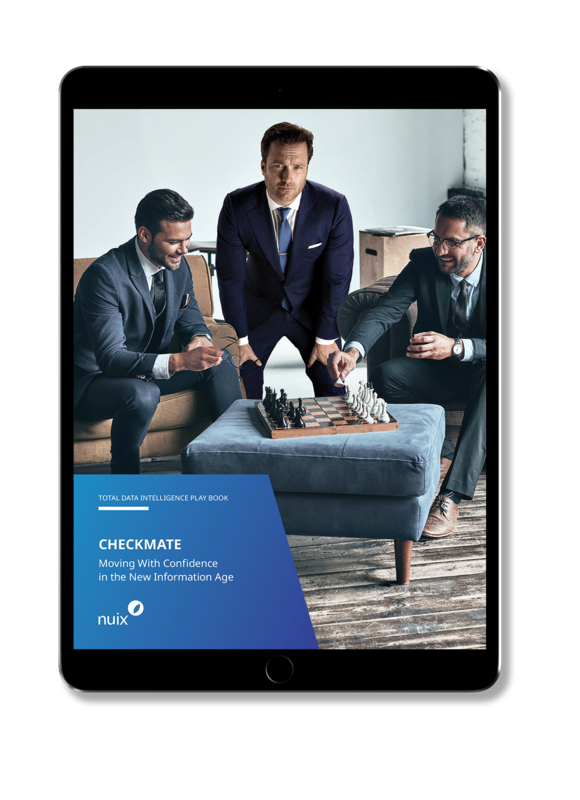 In the New Information Age, you need to gain intelligence from your data faster to answer critical questions about risk, compliance, and security. This calls for a single management, investigation, and response capability that can help you handle the entire threat continuum and data lifecycle. This calls for Total Data Intelligence from Nuix. 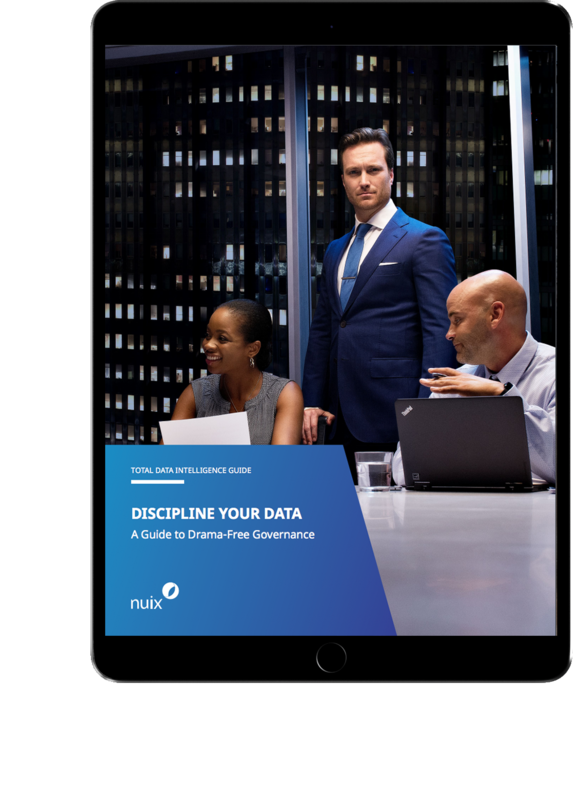 Only Nuix can take data in its rawest form and turn it into contextualized information—so you can tackle your critical data challenges in totality. 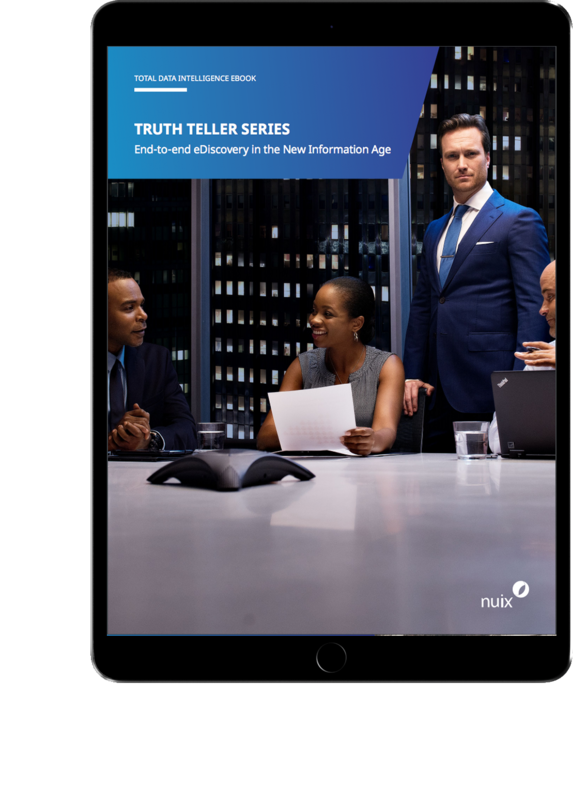 Whether you’re protecting data from attackers, dealing with litigation or corporate misconduct, or ensuring regulatory compliance, one thing is clear: With Nuix, you can rise to the demands of the New Information Age—and redefine what’s possible. 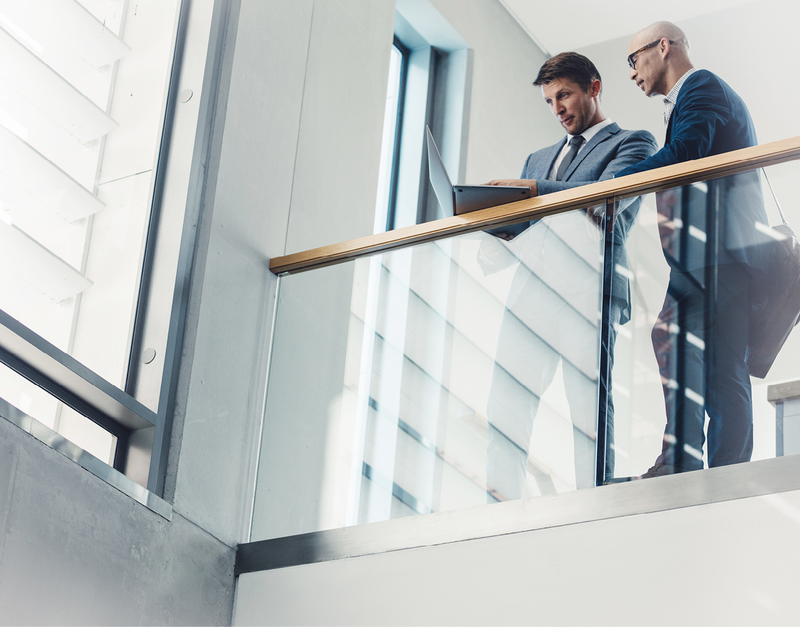 Stop wasting time hunting for elusive threats—get the visibility, adaptability, and control you’ve been missing with your traditional endpoint products. Get a personalized demo of the Nuix platform. 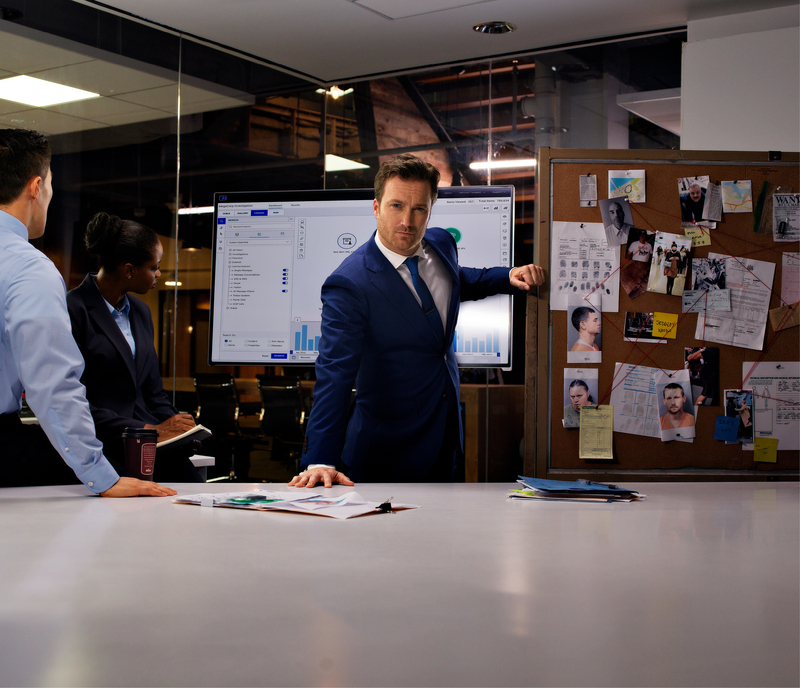 Gain a clearer picture of business risks and compliance threats in your data. Data is too dense, varied, and plentiful to rely on legacy systems to keep up. See what eDiscovery software really looks like in the New Information Age. Reduce costs and risk exposure from legal and regulatory matters with an amazingly fast, easy-to-use enterprise grade eDiscovery platform . Achieve Total Data Intelligence to gain more control, speed, savings, and predictability. Gain an amazingly fast, complete way to get the right documents to attorneys. De-risk your discovery workflow by making multi-step processes a point-and-click exercise. Document review is inherently complex—and anything but linear. Discover how smart review software can transform trivial data into insights that deliver true business advantage. If you get eDiscovery wrong, you miss vital information that could make the difference between winning and losing the case. The Nuix platform offers end-to-end eDiscovery without compromise—so your teams can be faster and smarter than ever before. Distinguish an enterprise-grade discovery tool from lightweight imposters Get real, usable automation without multiple tools and workarounds Cut out the interim steps between processing, data operators, and reviewers. Complete the form to see what a New Information Age eDiscovery solution looks like. The scale and speed of investigations requires a higher order of data forensics. Discover how you can achieve automation efficiency that traditional tools can’t deliver. Sift a plethora of data sources to accelerate analysis and solve complex investigations. Information gaps and blind spots put you at risk of missing vital clues. 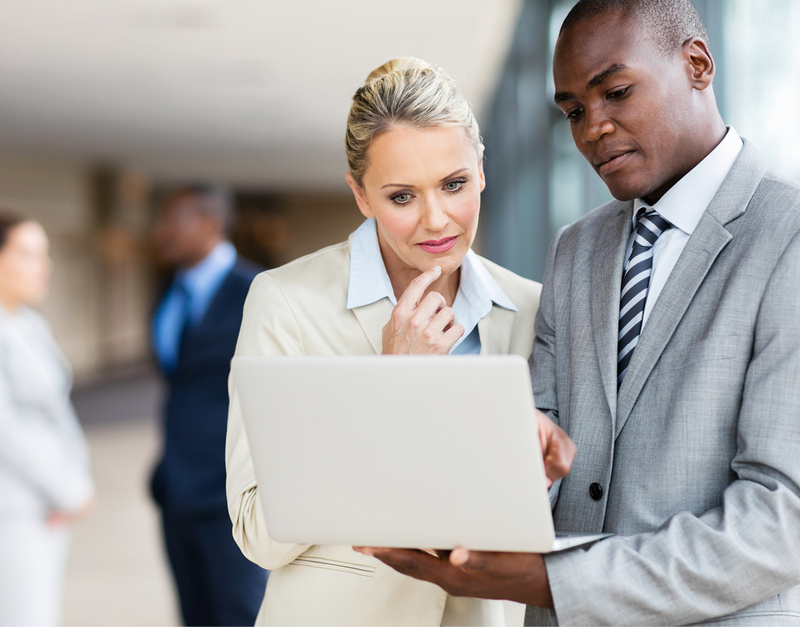 See what effective investigation software really looks like in the New Information Age. Get the answers you need quickly to minimize the effects of employee misconduct. Gain a smart solution to quickly identify vital evidence and solve your most elusive cases. Achieve Total Data Intelligence with a single window into your entire case file. Automatically discover patterns and hidden connections among people, objects, locations, and events. Put the right data into the hands of the right people, no matter where they are. In this age of overwhelming volumes of data and complex security threats, you need to take your investigative efficiency to the next level. The Nuix platform quickly collects, processes, searches, and analyzes terabytes of human-generated data, reaching into the most complex and hard-to-access data stores. Distinguish a solution that meets the needs of this new era from a basic point solution Support criminal investigations with a highly interoperable investigation tool Power corporate investigations with automation and eliminate multiple tools and workarounds. Complete the form to see how you can achieve true automation efficiency across your investigations. 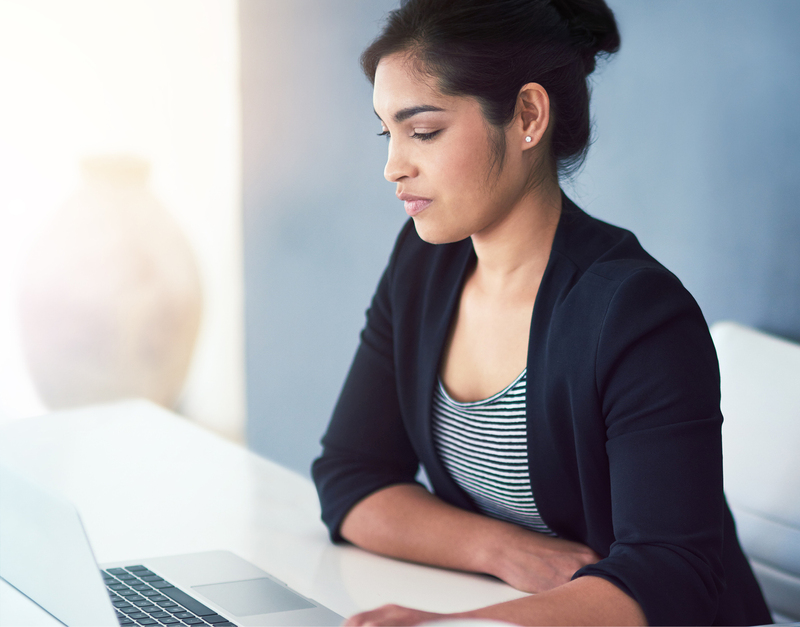 The challenges most investigations face today—and how you can overcome them How automation plays an important role in different types of investigations To what extent you can automate processes across the entire investigation. To protect your most vital information, you need to cover all angles of attack. Learn how you can be on the offense, as well as the defense, with speed and ease. Get the visibility, adaptability, and control traditional endpoint products lack. Breaches of your perimeter are inevitable but you still need a comprehensive way to defend your data. See what effective cybersecurity looks like in the New Information Age. Achieve Total Data Intelligence with real-time visibility into endpoints across your environment. Quickly adapt to changing threats and automatically take action based on behaviors. Recognize and act on threats in real time. Being able to see exactly what’s happening on your endpoints is crucial to protecting your business and responding quickly to threats you find. The Nuix platform has unparalleled visibility into endpoint activity and unmatched capabilities to respond to and anticipate cyberthreats. Why proactive and well-planned incident response must be underpinned by great technology Four key capabilities that should form part of any endpoint detection and response solution How Total Data Intelligence allows you to make data-driven security decisions. Complete the form to see what an effective cybersecurity solution that’s truly built for the New Information Age looks like. How to gain real-time visibility into what’s happening across your enterprise How you can respond faster than ever as soon as you detect an attack When the best defense is a good offense. Achieve Total Data Intelligence to keep up with the global growth of data privacy regulations. Understand where your intellectual property is stored (and where it isn’t) to minimize the risk of theft and data breaches. Focus your security efforts on the employees, business units, and computer systems at greatest risk. A holistic solution can manage and protect a growing sea of unstructured data—and help you turn compliance into competitive advantage. See what governance software really looks like in the New Information Age. Gain control of your content to fulfill legal, regulatory, and operational imperatives. To comply with tightening government regulations and manage risks, you need total control. Learn how you can govern your information with less drama and much more integration, visibility, and meaning. Maximize compliance with regulatory, legal, business, and IT compliance criteria. The New Information Age makes it much harder to control personally identifiable data and intellectual property. The Nuix platform helps you understand what you have and what to do with it, so you can keep data right where belongs and maintain regulatory compliance. Complete the form to see what an effective governance solution that’s truly built for the New Information Age looks like. 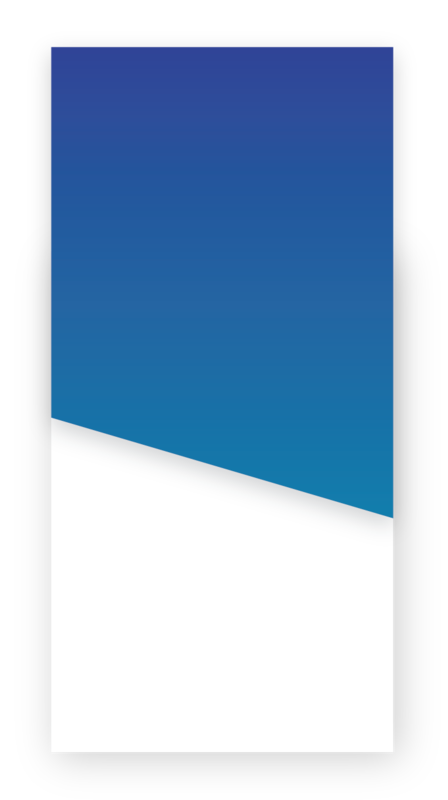 Complete the form to see how you can gain control of your information with less drama and much more integration, visibility, and meaning. Using Nuix, you gain a unified view into all endpoint activity across your enterprise to quickly anticipate and respond to threats. 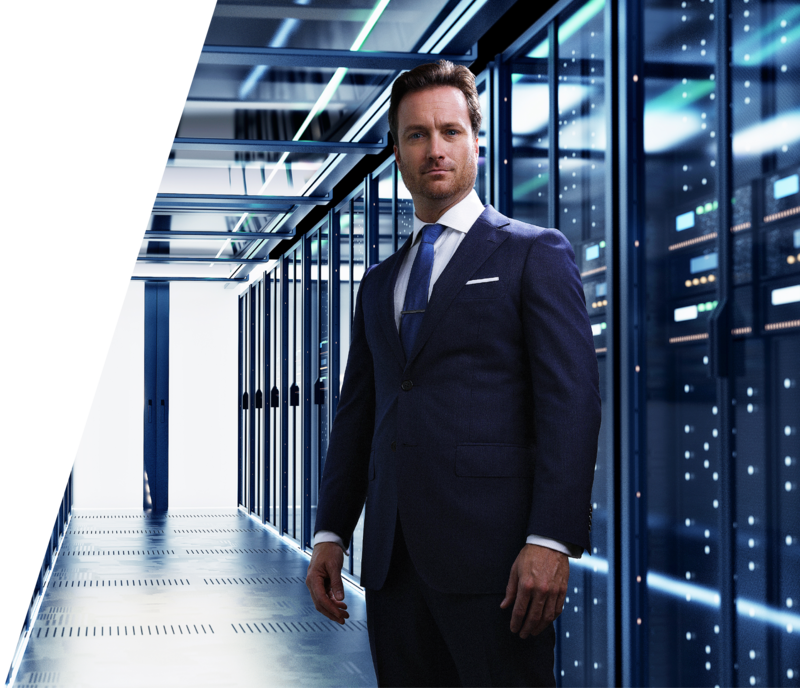 Discover the powerful incident response capabilities you can deploy with Nuix. Stop threats in real time. Maintain system viability, even after being compromised, with the ability to terminate malicious processes, delete malicious files and Window Registry keys, and isolate endpoints. Automatically push out remediation—including isolating endpoints, terminating processes, and deleting files—across the enterprise by setting up rules to identify anomalies or by simply clicking on the available list of remediation options. Fast-track threat hunting and incident response with a unified view of live and historical endpoint activity across the enterprise. Stop threats in real time with a customizable logic engine that recognizes threats on the endpoint and acts on them at chip speed. Get real-time visibility at the kernel level on desktops, laptops, and servers. Continuously record and monitor key digital behaviors to identify suspect activity in real time and investigate after the fact. Detect malware with multiple techniques, including signature validation, code packing, modifications to portable executables, and compile-time anomalies. Push out remediation across the enterprise. Automatically identify malicious or rogue processes and stop ransomware and spear phishing attempts before they execute. Receive Windows Defender Antivirus alerts, initiate malware scans, and review scan results directly within the platform. Mislead adversaries who have gained unauthorized access into the enterprise by creating fake services. Quickly adapt to changing threats.. 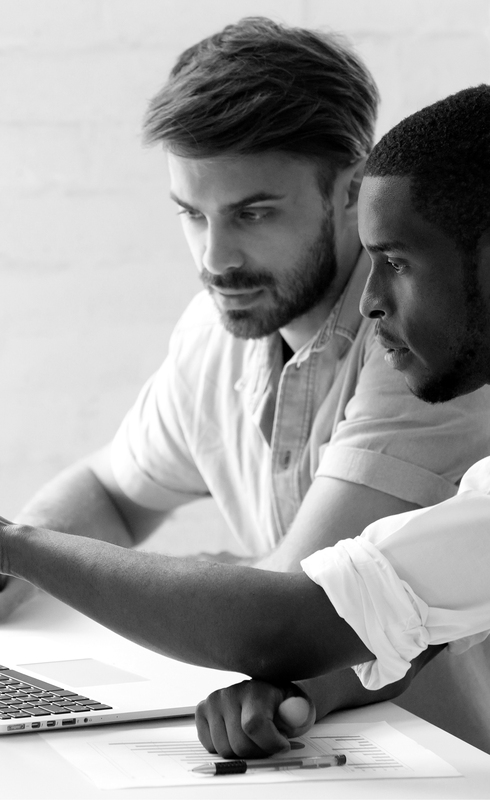 Explore these resources to learn more about how Nuix can help you uncover greater insights to support your incident response. Uncover root cause in minutes. Isolate infected systems from the enterprise to minimize your exposure. Fast-track threat hunting and incident response. 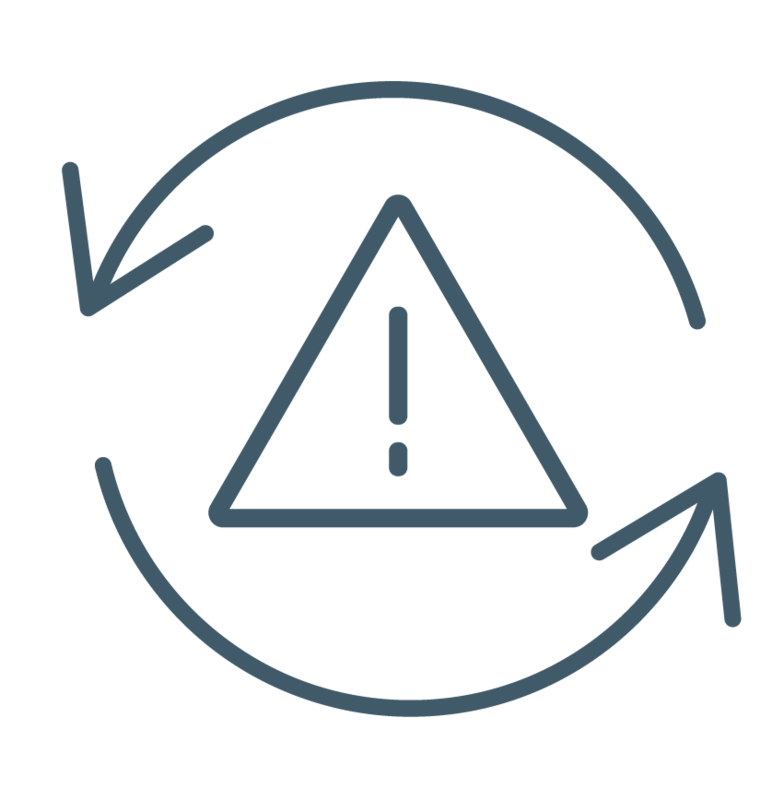 Reduce the time it takes to detect an impending or ongoing attack Accelerate recovery time by uncovering root cause in just minutes Easily adapt to changing environments, regulations, and attack vectors. Programmable, intelligent agent can automatically take action based on behaviors. Generate new rules and configurations over time to make the agent more intelligent. Quickly adapt to changing threats with a programmable, intelligent agent that can automatically take action based on behaviors. Isolate infected systems from the enterprise. 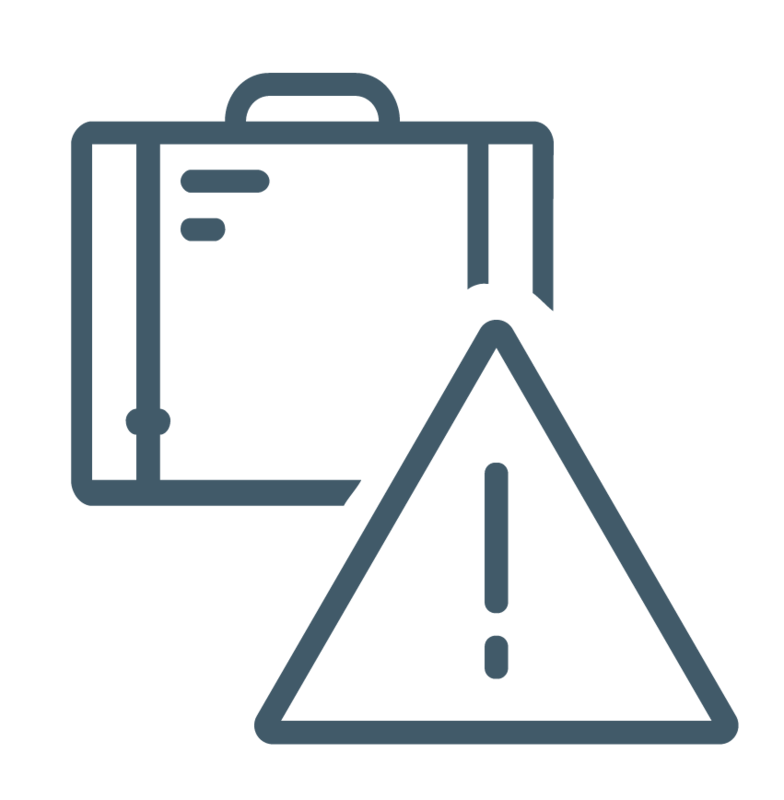 Enable incident responders to collect evidence, delete malicious files, and create and deploy new protections. When it comes to security incidence response, the name of the game is reducing the time it takes to detect an impending or ongoing attack, accelerating the response time, ultimately stopping incidents immediately … Nuix Adaptive Security hits these marks seamlessly, with many other critical benefits and features integrated into the platform. Immediately instigate remediation across the enterprise by setting up rules to identify anomalies or simply clicking on the list of remediation options. Segregate the impacted endpoint from the enterprise while enabling incident responders to collect evidence, delete malicious files, and create and deploy new protections. Answer root cause questions within seconds, with a unified view into all endpoint activity across the enterprise. Use a customizable logic rules engine to recognize threats on the endpoint and act on them at chip speed. When you’re in the middle of an incident, visibility, and speed are mission-critical. To detect a threat, kick the perpetrator out, and secure your environment again, you need to see what’s going on, quickly collect pertinent information, and get answers in real time. Search, filter, and organize data sets to triage and respond to an event. Handle complex, high-volume structured, unstructured, and semi-structured data against multiple petabytes in parallel. We work with the biggest public and private enterprises from around the world. Explore their success to see how we could empower your information governance projects. Classify content based on the facts in context to determine whether information is an asset or a liability. Leverage system data, file attributes, content, number patterns, similarity, word lists, scripted metadata, and other capabilities to take large volumes of content and put it into business specific taxonomy facets. Make the facts securely and conveniently available to investigators, analysts, lawyers, auditors, subject matter experts, and anyone else who needs it for review. Information managers have always wished for a software platform with the ability to ingest all the historical data sources you can get your hands on, overlay what’s currently happening, and pull all their IG projects together in an interface you don’t need a PhD to operate. Nuix is the only technology that checks all those boxes. Customize and automate workflows with powerful scripting and application programming interfaces for easy integration into your existing workflows. Explore these resources to learn more about how Nuix can help you uncover greater insights to support your information governance response. Identify and inventory content to make sense of murky pools of dark unstructured data. Coordinate and queue jobs with multiple tasks to manage large indexes over multiple locations from one interface. Achieve unmatched speed, scale, and accuracy to process, search, and extract intelligence for review and analysis from high-volume data of any complexity and from any location. Make evidence available in a single workflow to anyone who needs it, with no complex databases or tricky plugins to install. Index more details out of more file types from more sources to comprehensively and accurately structure data Provide access to electronically stored knowledge across the enterprise Automatically classify, compare, sort, tag, and organize content into multiple repeatable taxonomy facets Remediate or migrate content to reduce issues, minimize risk, and expand control. Collect, process, and search across many sources, file types, and details per type of file using our own proprietary indexing. Make search and tag, taxonomies, and consistent forensic data integrity repeatable. Nuix enables you to install a tiered, structured file analysis approach, so you can sift through large volumes of data to find evidence. Discover how you can make more informed decisions about information risk and value with Nuix. See how Nuix enabled a UK government agency to manage data appropriately to comply with information management legislation. Act and execute on governance decisions: optimize storage systems; classify, migrate and protect data; or make it more readily available to the business. Get rid of heaps of content that have no business value to clear the way for more productive and valuable activities. Put files into more secure locations or separate and merge them with other data sets. Make growing and adapting for future needs easy. Effectively collaborate with local and global counterparts to process, search, and review evidence. Find out how Nuix gave a major pharmaceutical company the certainty that their confidential information was not compromised. 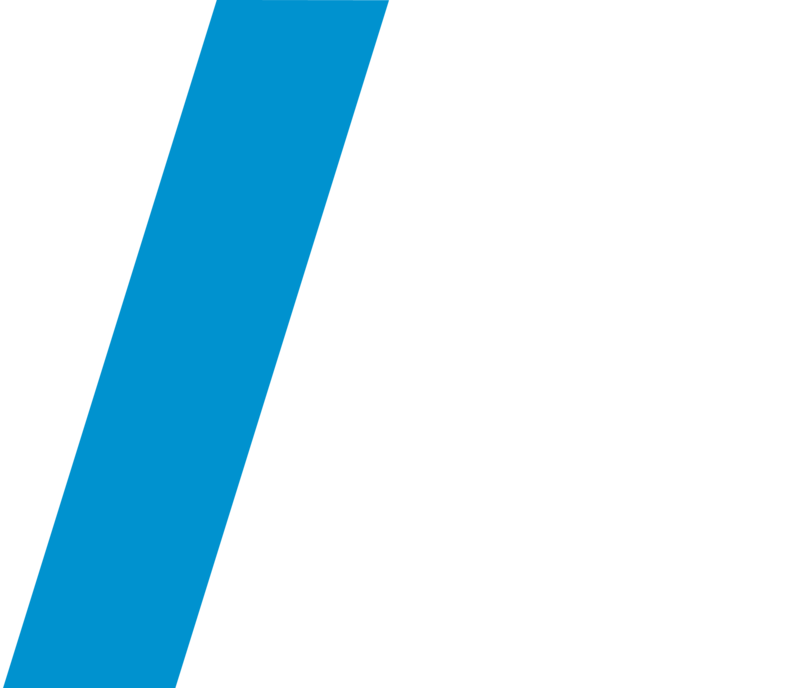 Find out how Discovia ensured a divested organization wouldn’t retain any of its former parent company’s intellectual property with Nuix. Achieve unmatched processing speed and scalability. Gain unrivaled depth into your unstructured content. Get a consistent, defensible answer every time. Understand the age, ownership, format and content of each item. Build custom data-map insights into data, user, risk, volume, and age to answer critical business operational questions. 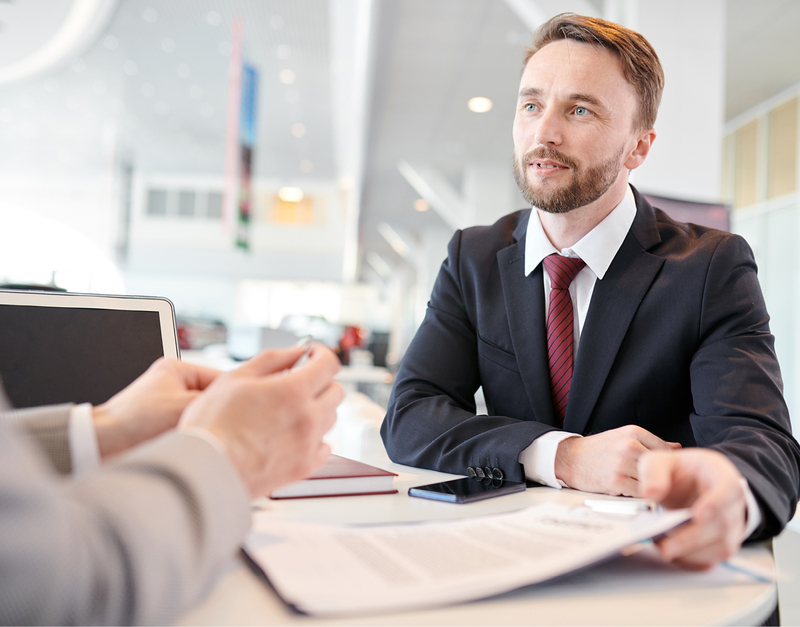 Leverage content evidence to validate traditional design interview processes for activities like merger or divestiture planning, ECM system design, record management program, risk manage activities, and litigation preparedness. Save time and minimize triage. The beauty of Nuix is that, if you can get access to the data, you can open most of those files. If they were image files, you can search across it and make decisions to what happens with the information and capture the metadata, in case it needs to stand up to an inquiry or a court, to prove you haven’t tampered with the data. Achieve unmatched speed, scale, and accuracy to process, search, and extract intelligence from high-volume data of any complexity and from any location for review and analysis. Ensure a comprehensive response to regulators by making sure all data is accounted for. Extracting more data leads to better accuracy and more comprehensive classifications. Coordinate and queue jobs with multiple tasks to manage large indexes over multiple locations from one interface. Audit all communications and activities in a single window to identify inappropriate activities Synchronize data quickly and intelligently using filters on the process to index only responsive content, or index fully for a deeper investigation Confirm and validate data quickly and accurately, with multiple ways to remove false positives and have stakeholders review content Increase efficiency by breaking down organizational silos and mobilizing resources where they’re most needed Futureproof your investment with technology designed to adapt and handle growing volumes of complex data. Gain unrivaled depth into the content of your unstructured data. Achieve unmatched processing speed and configurability. 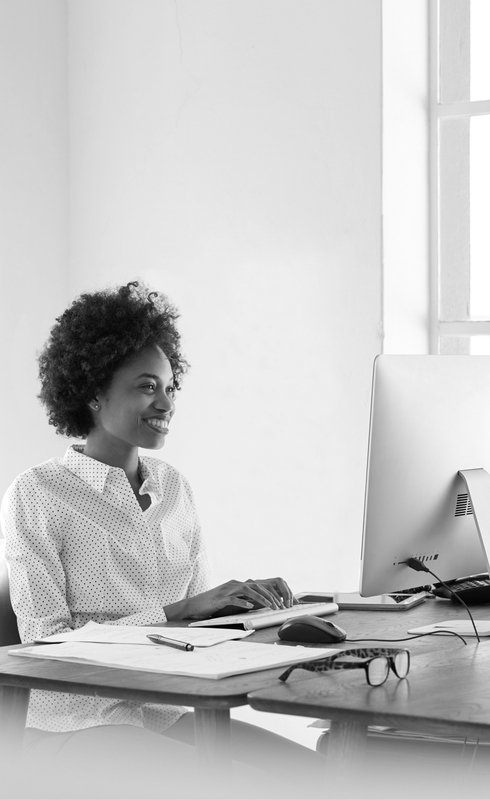 Explore these resources to learn more about how Nuix can help you uncover greater insights to support your compliance efforts. We work with the biggest public and private enterprises from around the world. Explore their success to see how we could help you respond to, and prove, compliance. Discover how Nuix can identify inappropriately stored personally identifiable information (PII) and payment card data to immediately take steps to mitigate the risks. Collect, process, and search across many sources, file types, and details per type of file using our proprietary indexing technology. Analyze your environment to identify type and nature of compliance content, refine with validations, clarifications and filters to minimize false positives. Map data across all platforms and file types so you know where to go and where not to go when issues arise. Align the map of content with the owners of the data, their responsibilities for compliance response, and their delivery of breach protection. Leverage system data, file attributes, content, number patterns, similarity, word lists, scripted metadata, and other capabilities to inspect large volumes of content and put it into business specific taxonomy facets. Manage targeted, limited criteria that can index only what you need. Nuix offers deeper insights into more data sources, so you’re ready to pounce on a moment’s notice to begin the search and rescue operation and minimize the risk impact. 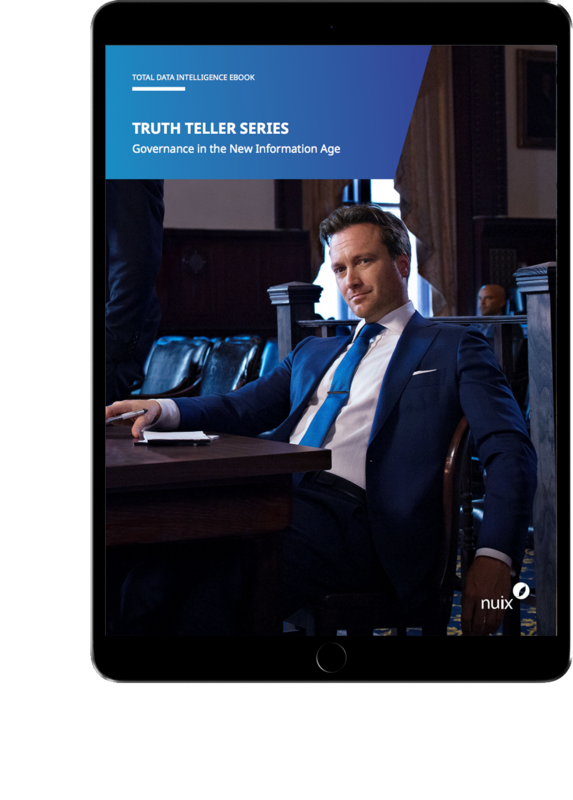 Discover how you can gain total governance over all your information with Nuix. Many discussions around the protection of corporate data from misuse or breach stops at the perimeter—but most organizations do not even know what data they have or where it resides. To find the hot spots in your structured and unstructured content—and then protect them—requires a bridge between activity monitoring and existing content stores. The Nuix platform provides the Total Data Intelligence you need to identify trends and issues before they become problems, and to maximize compliance with regulatory, legal, business, and IT compliance criteria. Make the evidence securely and conveniently available to investigators, analysts, lawyers, auditors, subject matter experts, and anyone else who needs it. Extract and transcribe data from audio data, particularly from call centers, which can contain initial compliance scripts and PII or other sensitive data, as well as evidence of financial fraud from unscrupulous sales staff. Copy, move, delete, compress, encrypt, redact, or change security on files to ensure that when issues are identified, the risk can be addressed immediately. Understand your content in the framework of compliance and understand what can be done with technology, training, policy, auditing, and data minimization. Use your real content to scope the response process from Access Requests to FOIAs to breach notifications, so that you are on solid ground when they arrive. Restructure processes, systems and storage models so that critical content is put where it needs to be to minimize harm and maximize value. See how Nuix enabled a large financial institution to rapidly locate vendor contracts that employees had stored in difficult-to-find locations. Handle high-volume structured, unstructured, and semi-structured data against multiple petabytes in parallel. Collect data of any size or complexity from laptops, desktops, mobile devices, cloud storage, enterprise file shares, and difficult-to-access repositories, such as Microsoft SharePoint. Save all data into one Nuix case file for review and analysis. When criminals use technology, they leave behind a digital footprint that could contain vital evidence. Pinpoint it with a comprehensive intelligent, digital solution that rapidly collects, ingests and processes large amounts of data across different file types, apps and devices—we call this “Intelligent Investigations.” The Nuix platform gives you Total Data Intelligence by bringing together all the critical information from all available digital evidence sources. Automatically group and categorize images based on their content using AI technology. Connect people, objects, locations, and events to link criminals to digital evidence. In the New Information Age, Nuix offers the most powerful technology in the market, leveraging artificial intelligence and patented parallel processing to byte through data faster than any other technology. With Intelligent Investigations from Nuix, you can quickly collect and ingest relevant data from physical devices, internal content repositories, and open-source intelligence from websites and social media. Discover a powerful arsenal of features that empower you to pursue fraud and corruption investigations with ease. Build your own custom links to find and group similar or related items. Use lists of known fraud terms to run automated search-and-tag operations and highlight potentially relevant documents fast. Summarize how data was processed and searched in comprehensive and defensible reports. Near-duplicate technology exposes documents that can’t be found with keyword search alone, by overlapping phrases and similar texts. Collect data from multiple sources—including mobile and bring-your-own devices, email, corporate repositories, the cloud, social media, and network drives—into one Nuix case for dynamic search and review Use sophisticated link analysis to visualize who is talking to who, what they’re looking at, where they are, and what they’re doing Enable fast, actionable decision-making by putting the right data in front of the right people, wherever they are. Use the powerful Nuix search query language to perform keyword, wildcard, proximity, fuzzy, and regular expression searches across all data sources at once. We work with the biggest public and private enterprises from around the world who require the most sophisticated technology available. 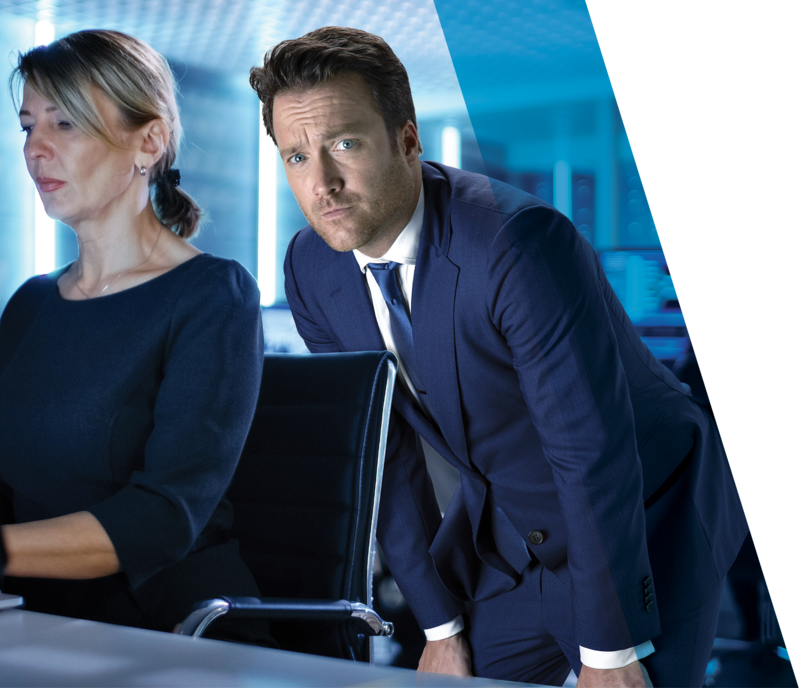 Explore how we’ve helped them to succeed in their fraud and corruption investigations. 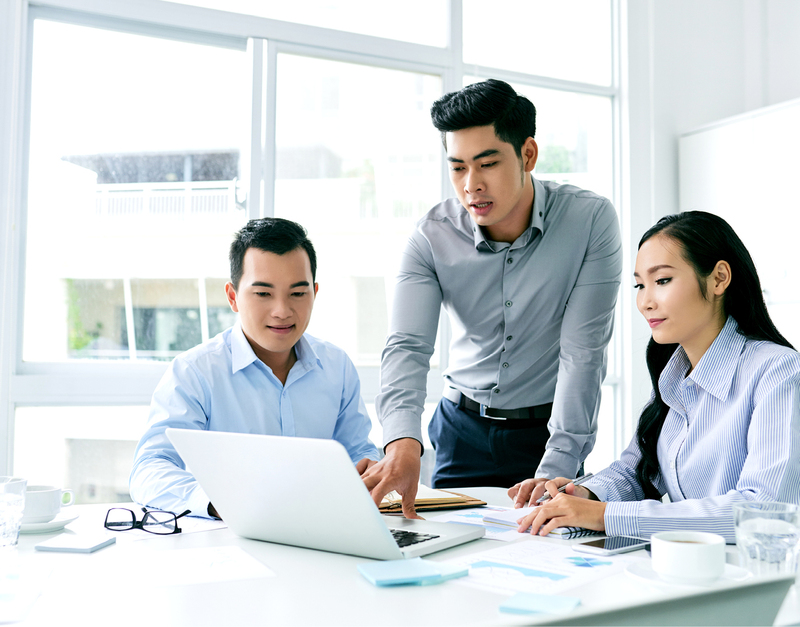 Maximize your available resources (people and technology) by coordinating and queueing jobs—including processing, filtering, search and tag, optical character recognition, and custom workflows. Allocate different machines to different jobs and scale across your environment to maximize utilization of your hardware. Manage changing priorities while maintaining consistent workflows. Nuix works while you sleep. Run processing overnight or when you’re away from the office. Automatically tag and map items connected with countries where there is a high risk of bribery and corruption, by extracting location data from geotagged files. Avoid missing crucial evidence and improve the accuracy of your searches. Quickly extract, correlate, and contextualize thousands of data types—across people, objects, locations, and events. Deploy machine learning to automate repetitive tasks and workflows based on behavior analytics, using search and tag, filtering, image classification, and keyword enrichment. Use powerful, entity-driven visualization capabilities to draw relationships between data artifacts and people. Discover how a US Federal Government agency used Nuix to resolve their major issues in reviewing digital evidence. Find out how Nuix helped ICIJ expose the secret offshore financial activities of over 120,000 companies and trusts from over 2.5 million leaked files. Reduce the time it takes to find crucial evidence. Keep up with criminals at any time, night or day. Share, search, and analyze case data any time, from any device with a web browser. Make evidence securely and conveniently available to investigators, analysts, lawyers, auditors, subject matter experts, and anyone else who needs it. See what is going on in and around an event or person and link them to a crime. Nuix software has been invaluable for its ability to remove duplicates, generate relationship diagrams, and see at a glance what information can be gleaned from the data. And, Nuix as a company has been a great partner in the effort, providing training and ongoing support to ensure we are making the most of its powerful tools. Find evidence you don’t know you are looking for by widening the scope of your search. See how Nuix enabled Guernsey to execute increasingly complex digital investigations to maintain the integrity of its financial services industry. 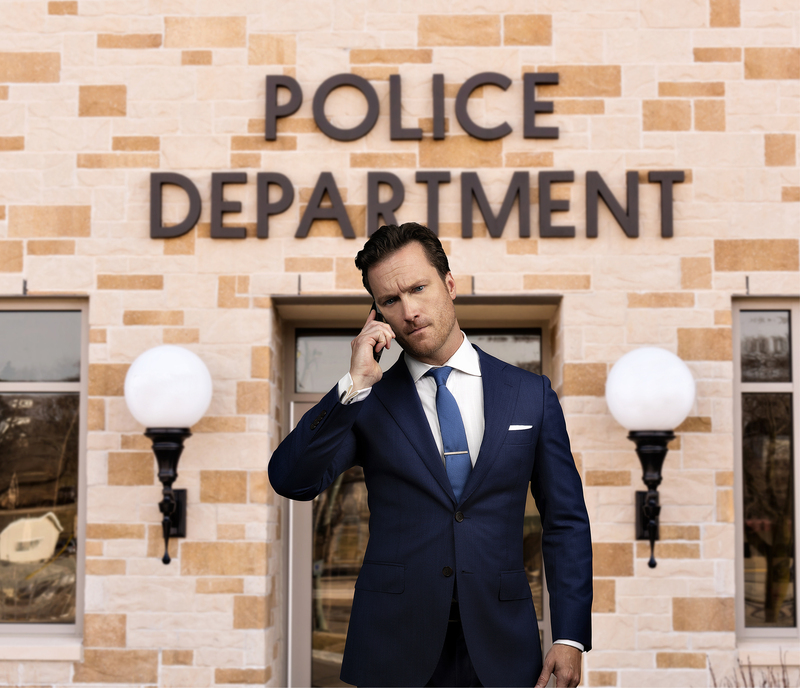 Speed up your investigations by automatically identifying criminal activity. Make the connections to pinpoint evidence of fraudulent activity. Supercharge your search capabilties—across all your largest cases and data sources—using powerful indexing technology. Find hidden connections to prove fraud or corruption beyond all reasonable doubt. Enable collaboration among everyone working on the case Help cut through the backlog and spend more time actually investigating Utilize machine learning and analytics to accelerate analysis and solve complex investigations Futureproof your investment with technology designed to handle growing volumes of complex data. 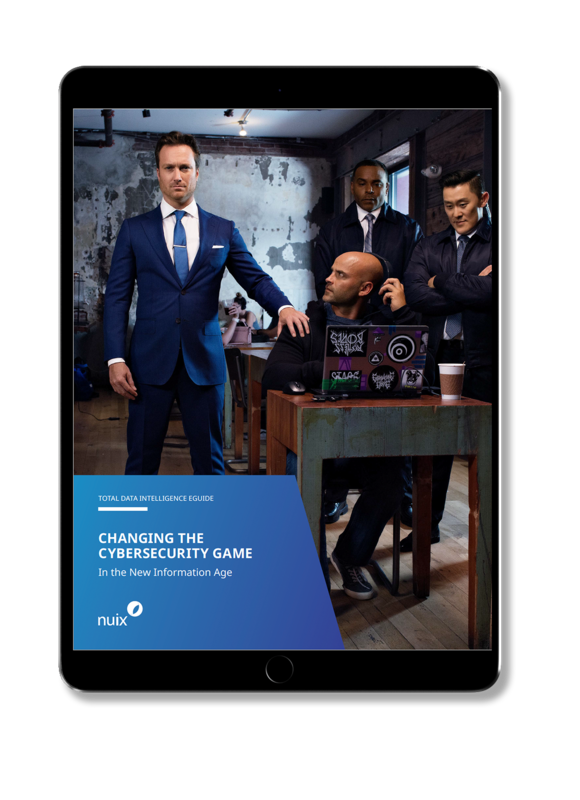 Due to advances in technology, criminals are often hiding their insidious activity using the dark web, encrypted messaging, and “burner” mobile phones. Handle the plethora of data found on seized devices and enable everyone on the case to seamlessly share data and case progression with a new level of investigation tools. The Nuix Total Data Intelligence platform creates Intelligent Investigations by bringing together the critical software you need to work smarter and uncover a higher level of intelligence from the evidence faster and more accurately than ever before. Extract location data from digital photos, mobile devices, IP addresses, and more. Link people with objects, locations, and events (POLE analysis) to find hidden relationships and context. Rapidly scale to hundreds of reviewers per case in a single workflow, with no complex databases or tricky client plugins to install. In the New Information Age, Nuix introduces the most powerful technology in the market, leveraging artificial intelligence and distributed, patented, parallel processing to byte through data faster than any other technology. 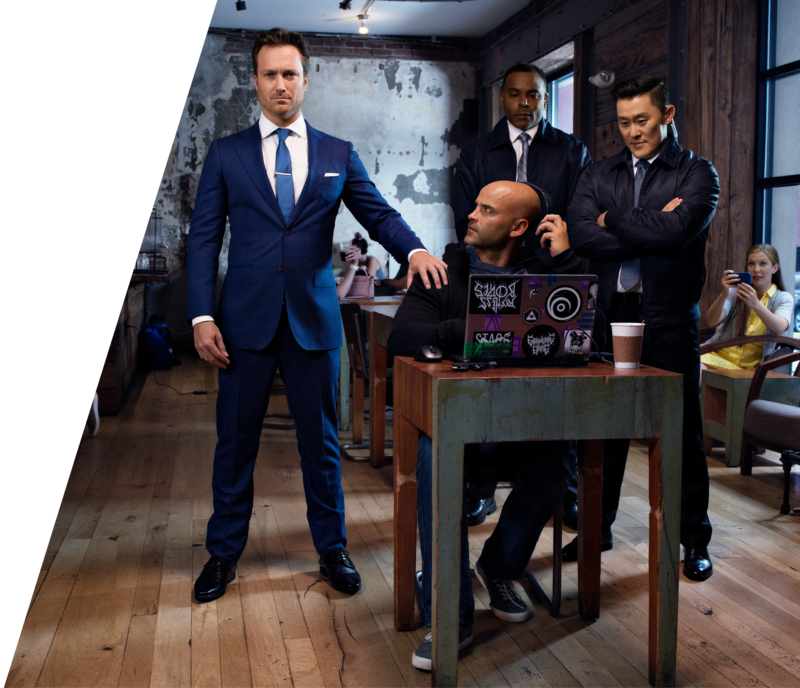 Welcome to investigating serious and organized crime in the New Information Age, with Nuix. Intelligent Investigations from Nuix offers deeper insights into more data sources at greater speed than any competing technologies. Discover the powerful arsenal of analytical capabilities to investigate crime with ease. Use timeline analysis, with multiple ways to slice the data, to understand the actions of a person or system over time. Quickly ingest terabytes of digital evidence into a single case file that is immediately accessible and searchable. Quickly uncover similarities or relationships between disparate data sources. Using Nuix, our investigators are simply finding so much more evidence per case because it is such an accessible way to look. They might find 17,000 relevant files per case rather than the approximately 50 they would find previously. Discover how Nuix helped a regulator traverse complicated seized data with speed and forensic precision. Hear from a Chief Advisor about how his organization relies on the speed of Nuix to process large volumes of data fast. Boost your analytical capabilities to quickly prioritize images that may accelerate your investigation. 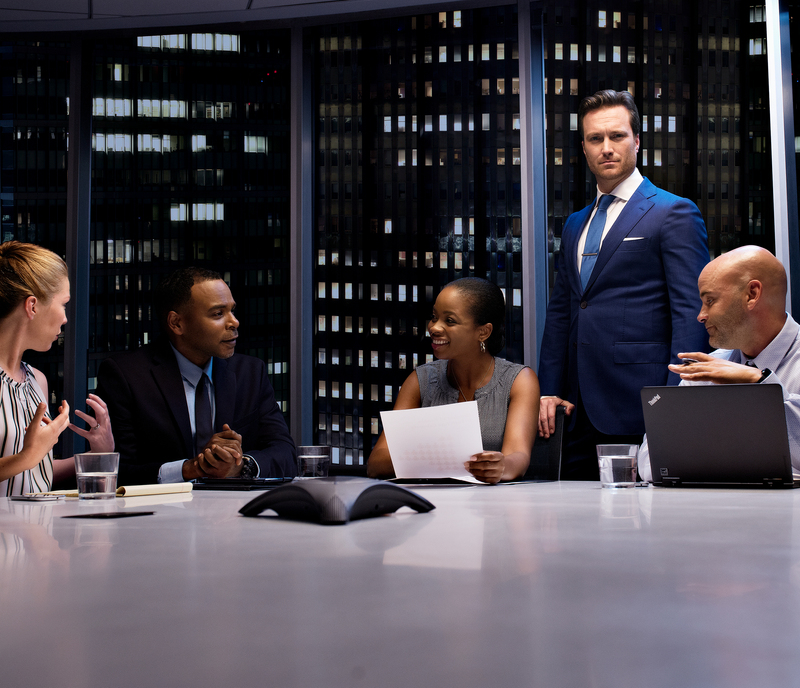 Grow your analyst teams’ capability and sophistication to accelerate your investigations. Pool resources across multiple teams to facilitate intelligence gathering and carry out early case assessment. Find suspicious figures or questionable monetary transactions. Achieve results faster than ever to reduce or eliminate backlogs and to solve urgent cases. Share, search, and analyze case data any time, from any device with a web browser. Reduce reliance on outsourced data collection, processing, and analysis to save time and money. Rapidly gain a clear and comprehensive understanding of every matter at hand and the business risks involved. 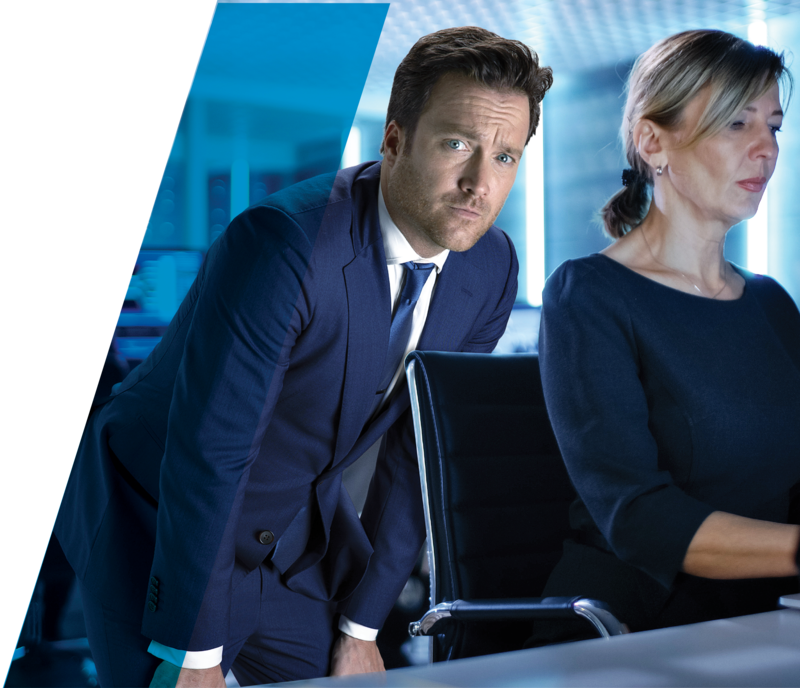 See how Nuix provided Vodafone UK with a more efficient way to conduct internal investigations. Act fast by collecting and analyzing all data in one Nuix case file to help drive your decisions. Identify who has accessed and removed confidential or intellectual property from your repositories and what they did with it Seek out evidence of corporate bullying and inappropriate or offensive behavior to help you defend an employee misconduct investigation Discover who has breached contractual obligations, with supporting evidence Get answers to your investigations with speed and efficiency to help reduce your backlogs. 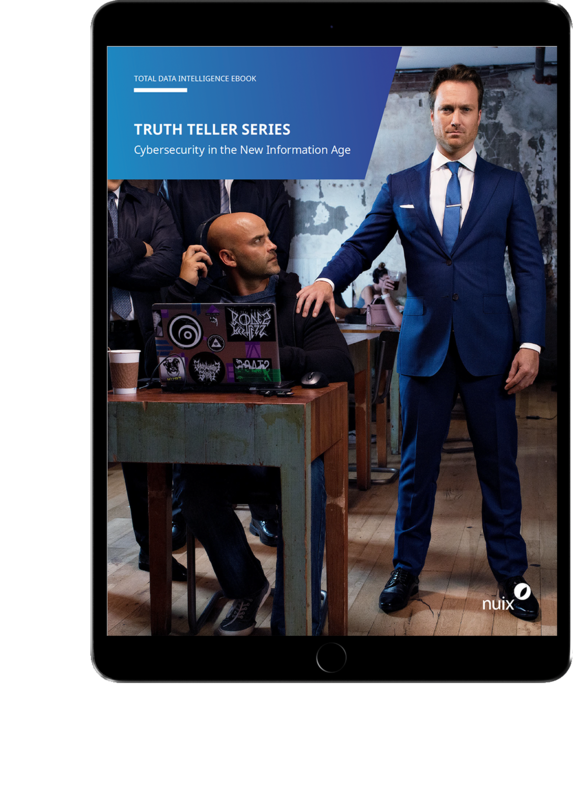 Grow your analyst teams’ capability and sophistication to accelerate your investigations into malicious intent. Rapidly collect data from a wide range of enterprise data sources, including mobile devices, email, and the cloud. 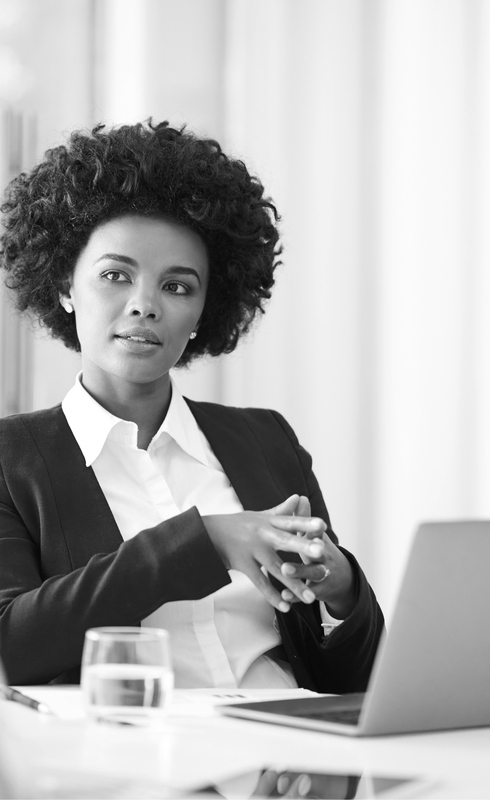 Employee misconduct can have devastating effects for your business—including reputational damage, loss of revenue, fines, and business disruption. The key to minimizing the negative effects of such conduct is being able to investigate it thoroughly as soon as you are aware of the issue—we call this “Intelligent Investigations.” The Nuix platform gives you Total Data Intelligence by making it easy to ingest, index, and review large volumes of complex data and putting speed on your side. Near-duplicate technology exposes documents that can’t be found with keyword search alone, by overlapping phrases and similar texts to reveal crucial evidence. 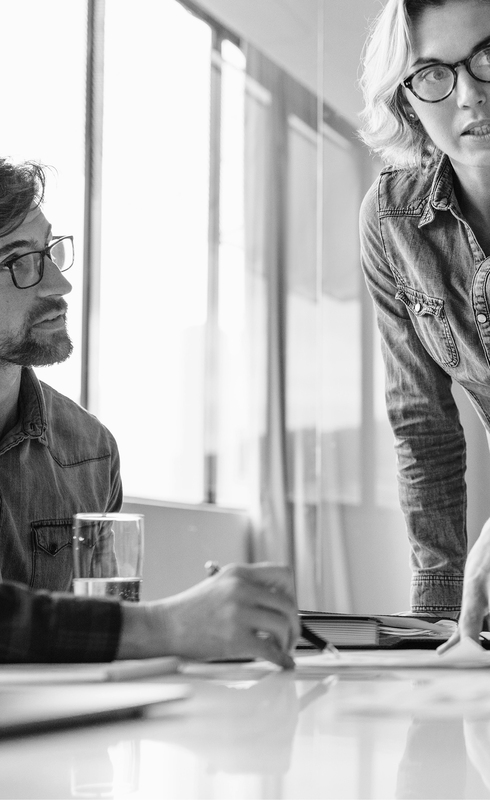 Thanks to the speed and efficiency of working primarily in Nuix, Vodafone’s digital investigation team can now complete tasks in hours that previously took days or longer. We have currently no backlog—we just do the work as it’s presented to us. In one internal investigation, we had a team member review 14,000 emails, and she was amazed at the speed she could review and tag the relevant items. In the New Information Age, Nuix offers the most powerful technology in the market, leveraging artificial intelligence and patented parallel processing to byte through data faster than any other technology. 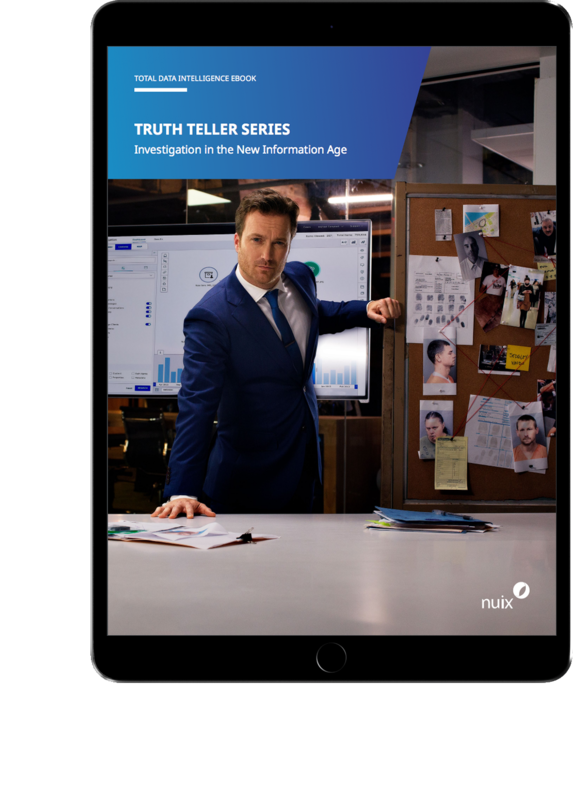 Using Intelligent Investigations from Nuix, you can rapidly interrogate the industry’s widest variety of enterprise data sources to reveal the evidence you need. Discover how you can minimize business disruption and risk, and reduce the cost of internal investigations with ease. Use our web review interface to share insights with key stakeholders and enable faster decision-making. 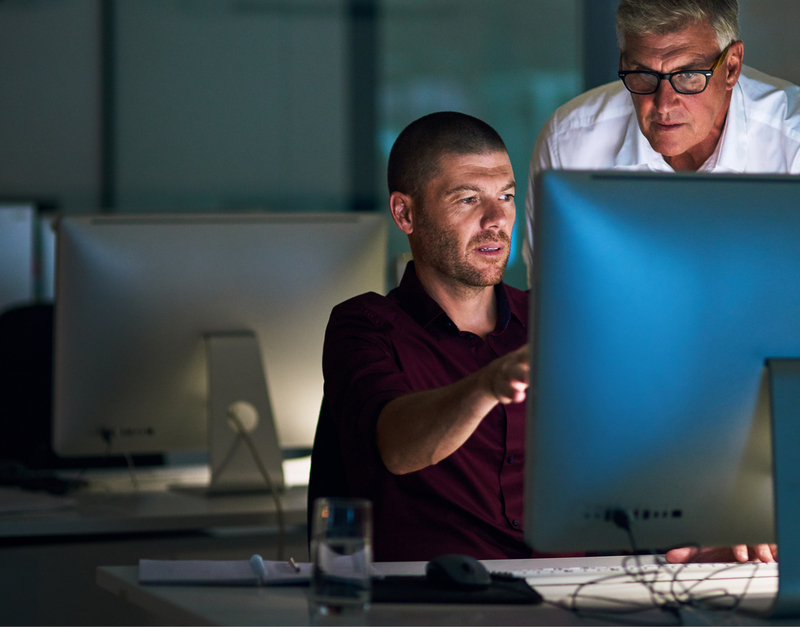 Apply machine-learning intelligence and automated workflows and that allow employees to conduct efficient, repeatable, defensible investigations. We work with the biggest public and private enterprises from around the world. 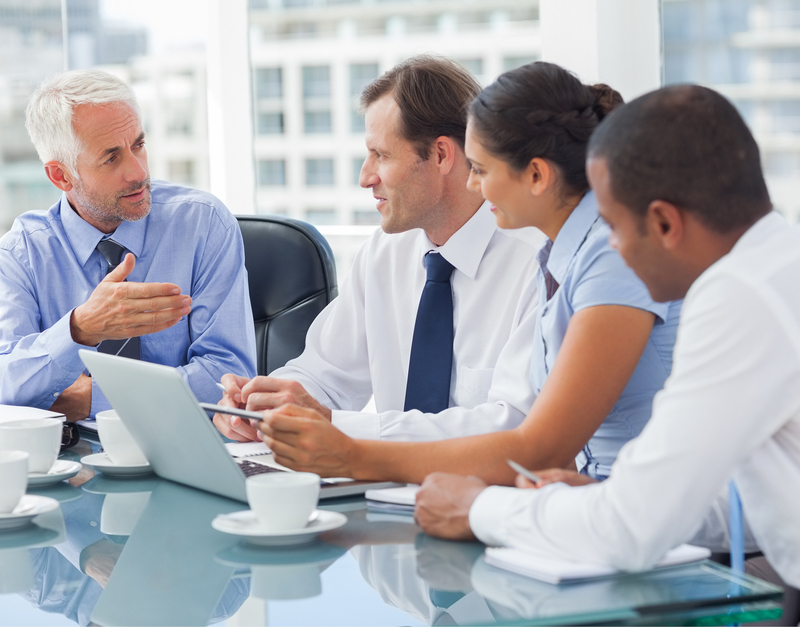 Explore how we've helped them to succeed in their internal investigations. Get the right evidence to counsel faster than the competition for better legal outcomes. Nuix eliminates tedious manual interventions that plague the preservation process and performs defensible collections from endpoints, servers, the cloud, and mobile technology. What used to take me a week to do, I did in two hours. What used to take me two hours to do, I did in five minutes. Increase workflow control and protection of company intellectual property while reducing the time and effort to manage it. Provide the foundation for case analytics and review with fast, defensible processing. Eliminate costs through automation, workflow enhancement, and increased productivity. Nuix software helps you organize and proactively manage your organization’s data, saving you significant time, energy, and costs down the line during litigation, regulatory response, and investigations. 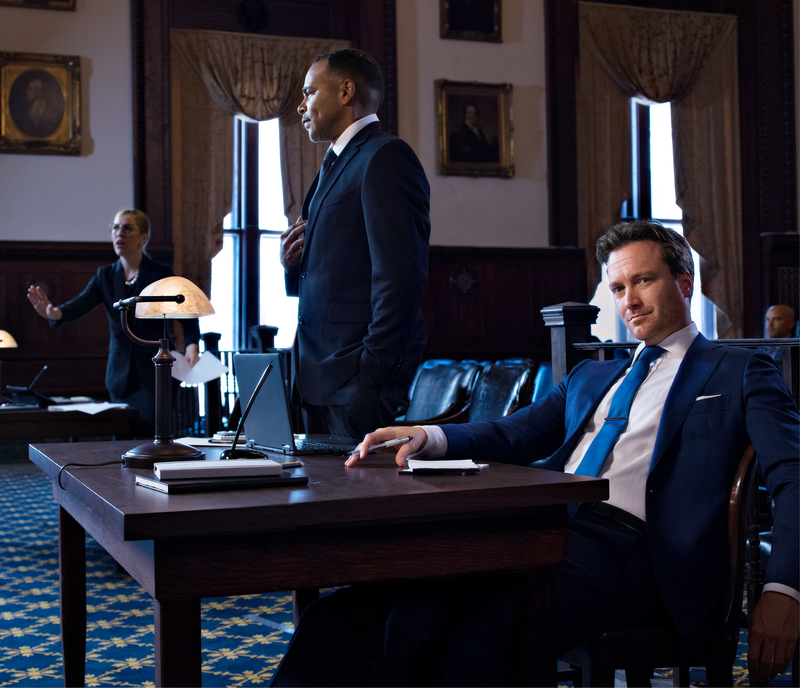 Succeed with flexibility, no matter the dynamics of the case. If you face a litigious environment or proactive regulators, you need a repeatable, defensible discovery process that meets critical deadlines. 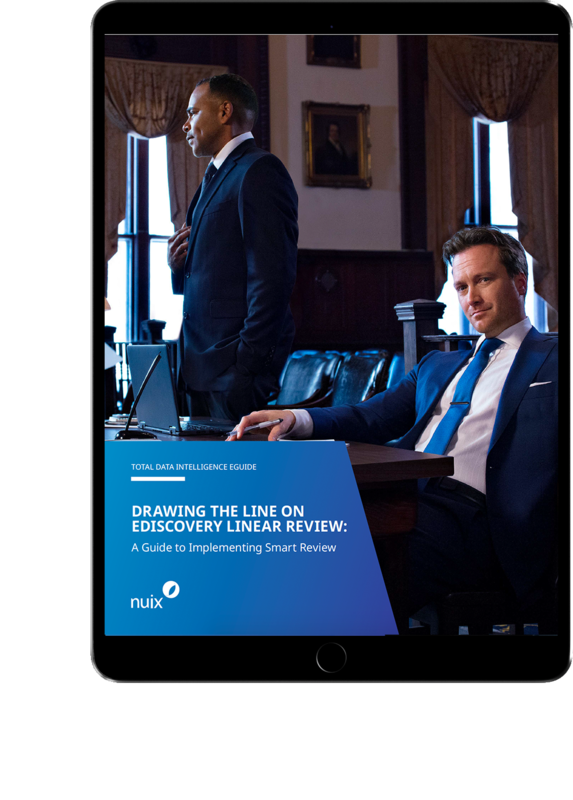 Only a true end-to-end eDiscovery solution will allow you to create winnable strategies with consistency, transparency, predictability, and security. The Nuix platform gives you Total Data Intelligence to reduce your cost and risk exposure from legal and regulatory matters. Explore these resources to learn more about how Nuix can help you uncover greater insights to support your discovery response. Production and presentation of facts must support your case strategy. Nuix gives you a way to answer production needs while presenting those materials in the most advantageous way possible. Reduce the time and effort to find the evidence that matters—for case strategy, negotiation, and the courtroom. Our integrated platform helps you automate the ingestion process, simplify keyword and search term creation, identify communication patterns, and increase quality control. It fosters your ability to find hot documents, spot case trends, identify gaps in productions, and prepare for depositions or courtroom appearances. Multi-tenanted single-instance infrastructure enables law firms, organizations, and service providers to work together to improve client-counsel-department-service provider communications while keeping the control in your hands. Nuix scales to handle huge volumes of data or numbers of users, providing the same automation and workflow options regardless of case size or complexity. Leverage several deployment options, from a do-it-yourself on-premise model to full-service managed review. Indexing is the foundation of eDiscovery. You need to ensure you find all the needles in all the haystacks. Nuix is the only processing engine powerful and diverse enough to get you there. We work with the biggest public and private enterprises from around the world. Explore their success to see how we could empower your discovery tasks. The time and expense of review remains one of the top issues of eDiscovery. Nuix has transformed the process with “Smart Review,” the next-generation way to find all the facts while eliminating waste in the review process. Using Nuix software, you gain an amazingly fast, complete way to get the right documents to attorneys, the first time. Discover the powerful discovery techniques you can deploy with Nuix. 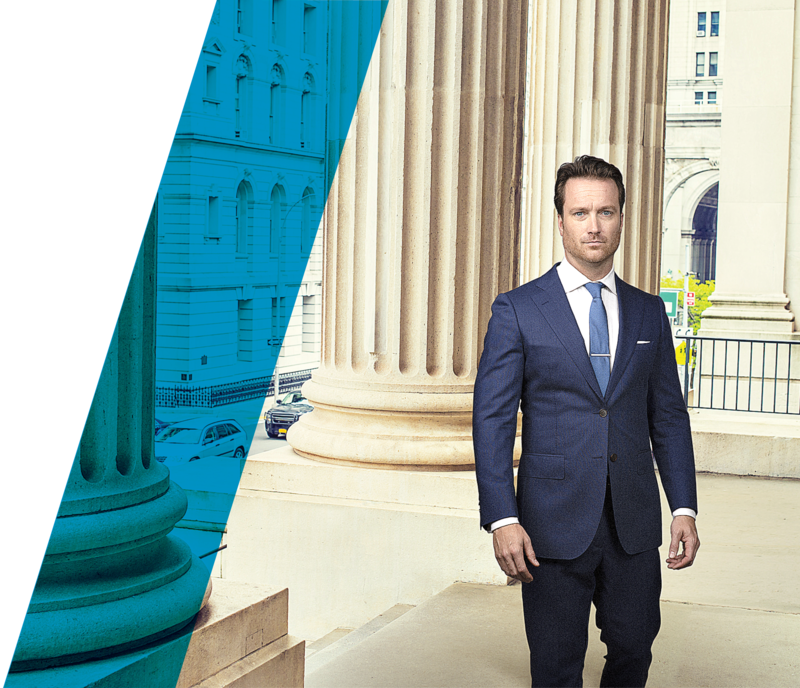 Get eyes on the “right” information quickly and securely Take advantage of the easiest-to-use enterprise grade platform that increases productivity for all types of users Simplify workflows across the EDRM, from information governance to the courtroom. Everyday analytics enable you to understand concepts at the case level, drill into patterns, group similar documents, perform quality review, and apply predictive coding and continuous active learning. Finding the facts fast gives you a competitive advantage. Nuix software provides the Total Data Intelligence needed to look “here” first, where the most relevant data resides. Our platform is so simple to use, you can apply “everyday analytics” to find the facts and take action on them. Nuix’s Smart Review multi-pane user interface, colors and icons, one-click coding, and document mapper help you organize and simplify the review process. Service more clients on less hardware, with less manual intervention for back-end processes and faster, more accurate client billing. Business data resides in a complex web of processes, handoffs, analysis, and projects that naturally cause inefficiency, confusion, and commotion in any discovery process. You need to quickly master the details of any legal matter to meet client and court deadlines while maintaining an efficient and profitable business. The Nuix platform provides the Total Data Intelligence you need to take control of complex eDiscovery matters and gives you expanded opportunities to build services on top of our solutions. Support true end-to-end eDiscovery for even the largest organization’s needs. More efficient system, client, and financial operation processes with greater transparency and communication. Generate new revenue streams Reduce operational expenses Expand your footprint with current clients Offer clients choice. Nuix software helps you organize and proactively manage your clients' data, saving you significant time, energy, and costs down the line during litigation, regulatory response, and investigations. Service small matters profitably, including hosting to clients wanting self-service, while also offering premium surround services when needed. Get up and running quickly to improve operational workflow and automate and simplify current processes. Using Nuix, you gain comprehensive end-to-end eDiscovery software to get answers faster and make clients happier. Discover the powerful discovery techniques you can deploy with Nuix. Deploy our software on premise or in the cloud, run centrally or across multiple regions. You can build operation protocols that optimize your internal task management against client control, and create billing, reporting, and monitoring of clients the way you need it. Having such sophisticated technologies at one's disposal must be underlined by people with the skills to use it to best effect. 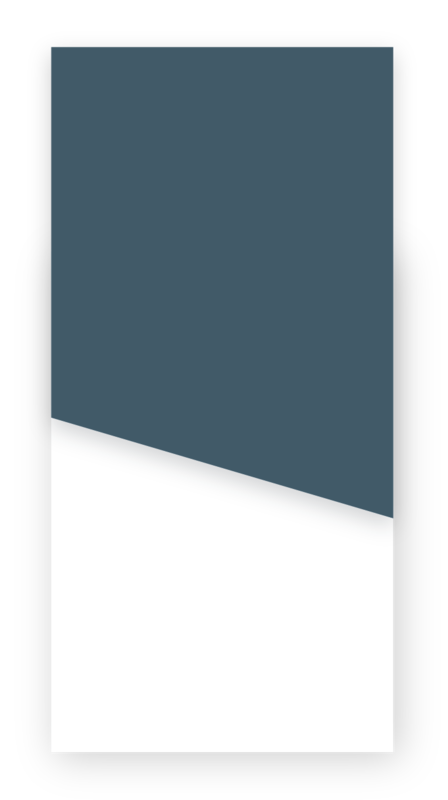 With our close advice and support, our client could search for specific keywords, apply date ranges, use advanced search expression, and the rest. 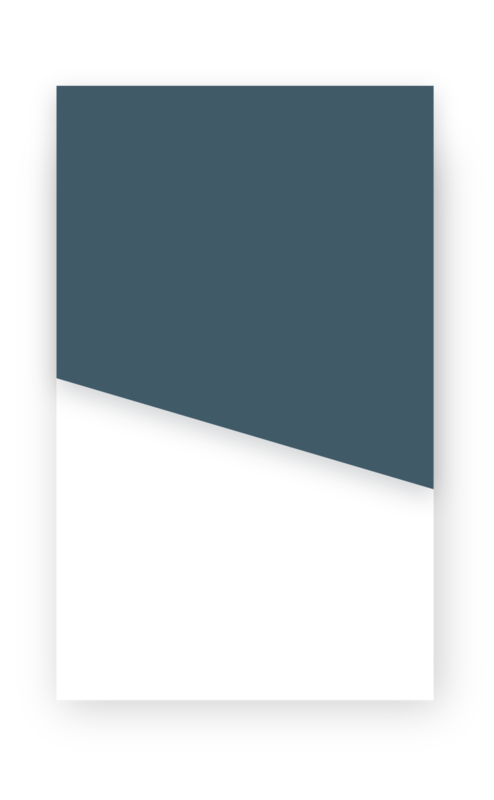 With tags and secured fields set up, the client could differentiate relevant and non-relevant items for future reference. Manage transactional clients and small matters with an environment that enables user control and templatized case set-up with consistent workflows. Our technology enables thousands of users to analyze and review millions of documents from terabytes of data. Streamlined install and “go live” operational options enable you to introduce Nuix into existing environments and operations with minimal import/export effort and manual intervention, using the same technical environment your internal experts already support. Easily handle multiple organizations, clients, and cases from a multi-tenanted and secure architecture.